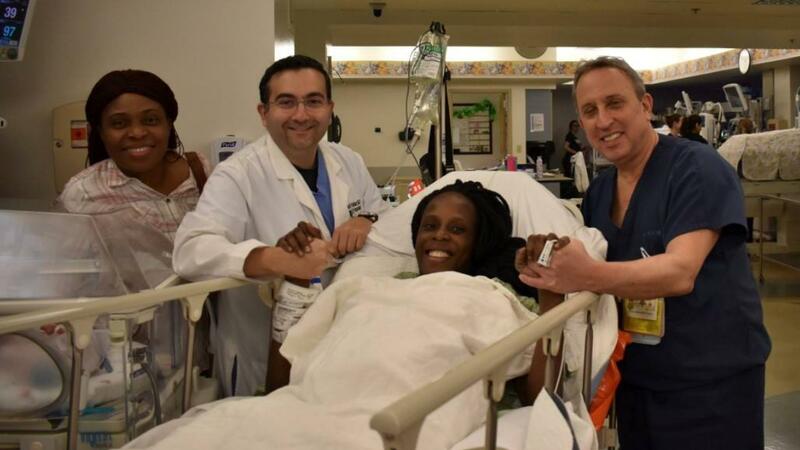 A Texas woman becomes the mother of sextuplets after giving birth to two sets of twin boys and one set of twin girls in under ten minutes at The Woman’s Hospital in Houston. 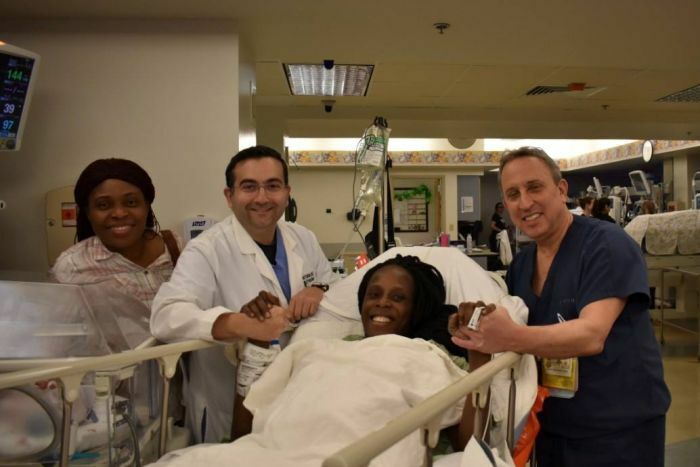 The delivery team, led by Dr Ziad Haidar, Dr Sharmeel Khaira and Dr Israel Simchowitz, said mother Thelma Chiaka was doing well. Ms Chiaka named her twin daughters Zina and Zuriel, The Chronicle reported. Sextuplet births are extremely rare. One mother of sextuplets in Northern Ireland, who gave birth in 2009, said doctors advised her to abort several of the foetuses because of the risks of the multiple pregnancy. Nuala Conway, 26, from Dunamore in central Northern Ireland, ignored the advice and gave birth to Austin, Eoghan, Karla, Kerrie, Shannon and Ursula, describing them as a “gift from God”. “When I was 14 weeks pregnant, doctors gave us the option of terminating some of my babies. They more or less advised us to,” she said. The babies were born 14 weeks premature and cared for in intensive care in Belfast’s Royal Victoria Hospital. They were the first sextuplets born in the United Kingdom since 1983. Giving birth to quintuplets, or five babies, is also very rare — about one in 800,000. In 2005, a US woman who’d agreed to be a surrogate mother for a couple unable to have children gave birth to five baby boys at a hospital in Phoenix, Arizona. Teresa Anderson delivered the quintuplets within five minutes at the Banner Good Samaritan Medical Centre, with doctors saying the babies might have been a record for a surrogate mother. 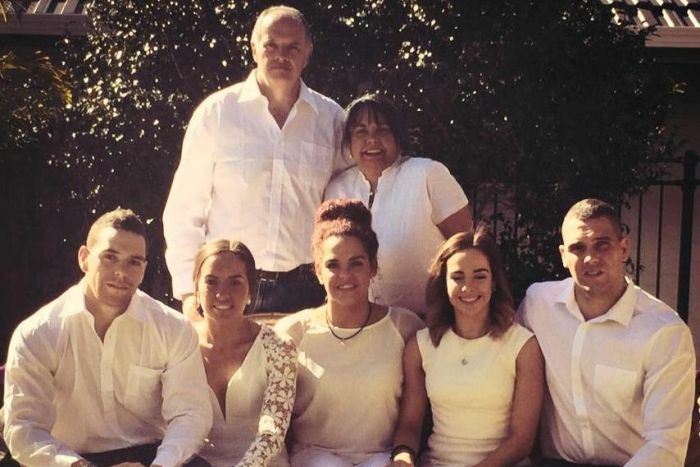 In Australia, a member of the country’s only set of Indigenous quintuplets graduated with a medical degree in 2017 from the University of Newcastle. Dr Erika Chapman-Burgess, who grew up in Glen Innes in New South Wales, said she had wanted to be a doctor from a young age and planned to specialise in obstetrics and gynaecology.